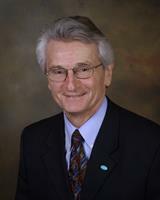 Philip Daunt, the principal of Strategic Law Solutions, has practiced law on the Monterey Peninsula since 1984. He has provided mediation services since 1993. His practice focuses on real estate matters, (including short sales), small business matters, and mediation. As a Transformational Lawyer, Mr. Daunt helps his clients to transform their legal problems into opportunities for personal growth and positive change with competence, compassion, perseverance, and integrity.